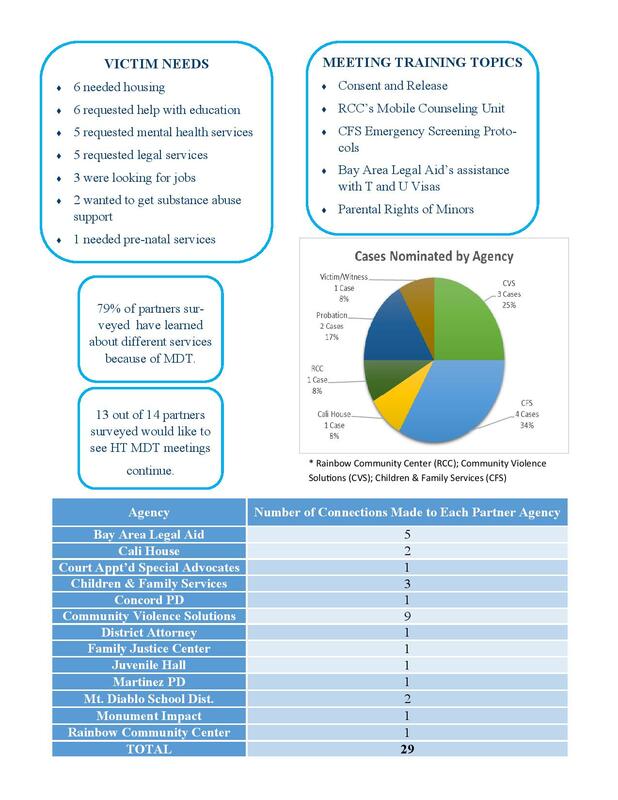 The Family Justice Center has achieved full integration of services and data in our Multidisciplinary Team (MDT) projects. 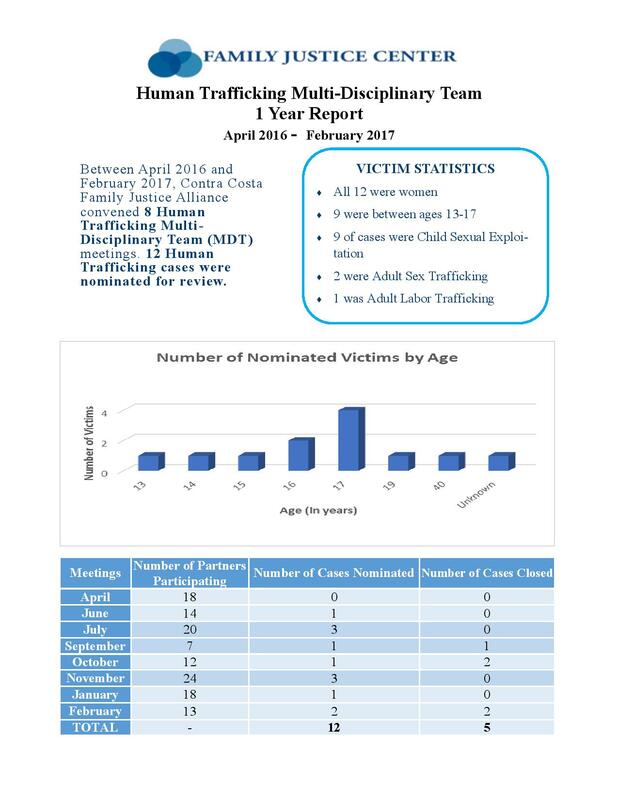 We lead and coordinate monthly Domestic Violence and Human Trafficking MDT meetings and co-facilitate a Child Abuse MDT meeting with a health care provider. These Multidisciplinary Teams provide an example of how we serve clients with multiple needs with multidisciplinary partners. MDTs review complex cases that will benefit from further examination and resources. Cases nominated focus on identifying and accomplishing goals within five Wellness Domains. These goals will be centered around the survivor’s wellbeing and protective factors.